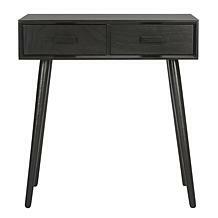 Posh and polished, this contemporary desk was inspired by the desk of a top fashion magazine editor. 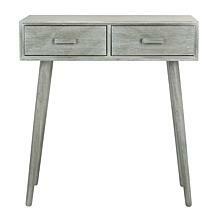 Its glossy white and metallic chrome finishes are paired with a bold, unexpected pop of color, making this the stylish focal point in any modern room. 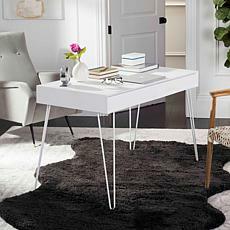 The Watkins desk is a refined contemporary take on the classic campaign desk with its white powder coated crossed legs and white lacquer finish. This digital-age interpretation ramps up office storage with two roomy drawers and a clean-cut style. 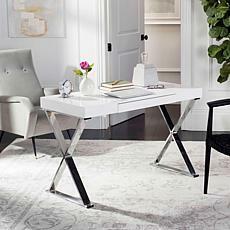 Geometric simplicity and clean lines make the Hanover desk an uncomplicated yet handy piece with white lacquer top resting above angular chrome cross-beam supports. 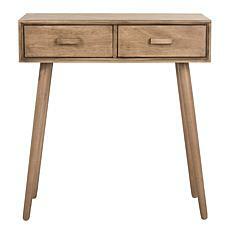 The slender desktop is softened with rounded edges and features an ample drawer. 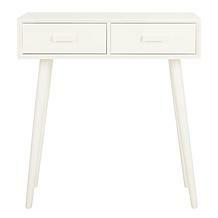 Having a desk with drawers is the ideal way to keep your things organized. 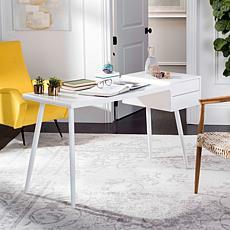 You can easily separate office supplies, school supplies, and household necessities when you keep them in a three-drawer desk as each category can be placed in its own drawer. 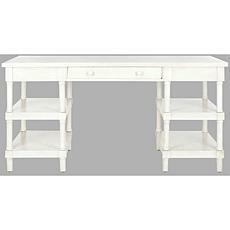 Your kids will love having a desk with drawers where they can keep their art supplies, coloring books, and pens and pencils. 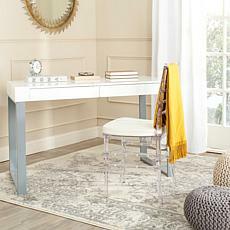 Be sure to have extra storage bins available so they can keep their larger craft supplies handy. 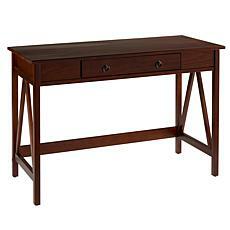 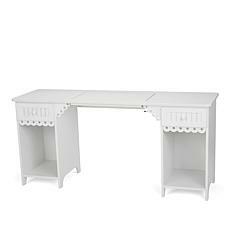 A side desk with drawers would look charming in the entrance hallway of your home. 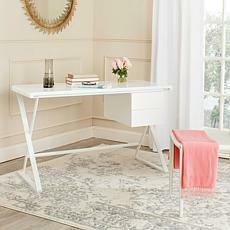 Add an extra element of grace to the desk with a colorful and elegant Tiffany-style lamp that will bring a warm light to the area. 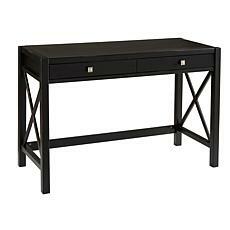 The desk is the perfect place to store keys, chargers for the family's portable devices, and sunglasses that can easily be grabbed when heading out the door. These desks come in a variety of styles to fit in any room of any home, from kids' rooms to living rooms and beyond. 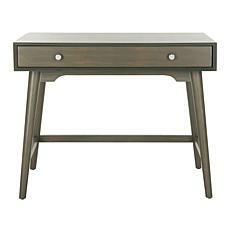 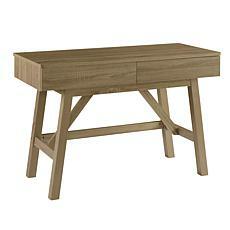 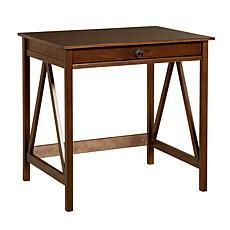 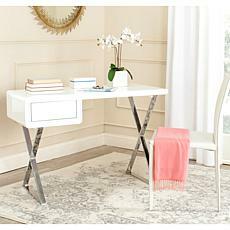 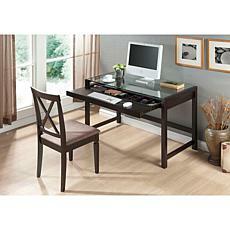 Enjoy searching for the perfect desk to fit your needs when you shop HSN today!